While these unfortunate events will create a “defensive posture” for Kodak, could this have been avoided? It’s a great question to ask and consider, especially as product management and innovators of all types quite often fight to stay relevant and have their products make a difference in current and expanding markets. 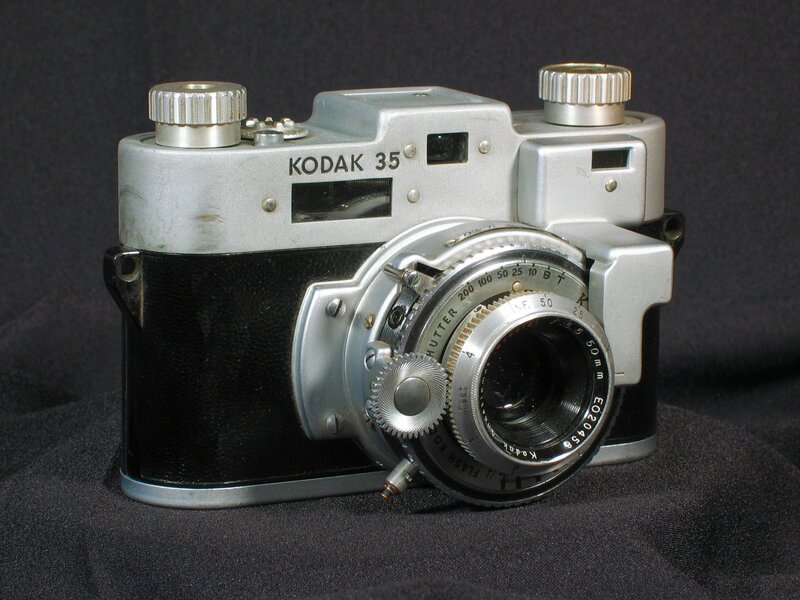 What could Kodak have done differently? While I haven’t worked for the company, I am familiar with their brand, consumer and commercial products. I expect that many of you know them, but when was the last time you purchased a product or said, “Wow, I really like the problems they’ve solved for me.” In the generation of everyone has a digital camera attached to every device, I find in my house there are Apple devices, Android phones and a litany of devices for photography that do not bear their name. As a person whose family was associated with the commercial printing business for decades, and a person who worked in commercial print shops in high school using their equipment and products, why has their relevance, innovation and market all but disappeared? Will this same plight happen to current innovators such as Apple and others? I’d like to have you weigh in on what product management methods you’ve used to stay relevant and how you and your organization has stayed ahead of or found new paths to innovation. With your input, I’ll publish the conversations, ideas and experience here. I love SHARKS! They are fascinating creatures and are often misunderstood and maligned. This week is one of my favorite times of the year. The Discovery Channel runs all types of shark programming featured as SHARK WEEK. There’s analysis, interviews, conjecture, conversations, education, entertainment and amazing film footage that makes you rethink a day at the beach.What do sharks and product management have in common? While we may think that sharks swim in other areas of your organizations, sharks can teach us a lot about our profession. Adaptable – A few years ago, Shark Week featured a segment on Great White sharks that become airborne in pursuit of it prey. Like great white sharks, product professionals have to be adaptable. Are you adaptable to change and willing to take on new responsibilities, projects, innovation ideas and willing to look beyond your title or role? It’s my opinion that product management and product marketing has to maintain an adaptable, start-up mentality, no matter how large the organization. In the article, How to maintain a start-up mentality as your business grows” by Jennifer Wang, she shares, “Start-ups are often spearheaded by individuals who have experienced a common problem and have come up with a solution that is meaningful to themselves and their customers. The founders and initial employees are in-tune with customers and can nimbly respond to changing customer needs.” Are you the adaptable, nimble and in-tune product professional? Hungry – While most people think all sharks eat non-stop, each variety has it’s own preference of how, what, where and when it consumes. Product management and product marketing should be the same. We don’t all learn the same, implement the same best practices at the same time, use the same methods or have the same roles and responsibilities. However, when you have the appetite or hunger to continuously improve, extend and expand, you’ll find that new opportunities and activities to satisfy your hunger will be there. When was the last time you woke up in the middle of the night with a great idea on how to improve product management and product marketing in your organization? Are you hungry? Product professionals must maintain a few shark-like qualities including being inquisitive, adaptive and hungry. While Shark Week may be over in seven days, product management and product marketing will be here next week and next year only if you evolve with your organization. In thinking about his response, How can product management and product marketing manage distractions? Placing your smart device aside for a minute, product professionals must find new ways to learn or re-learn how to pay attention, cope and deflect the onslaught of new technologies and information that distract us. As “product” oriented creatures, we grasp and often drool over the newest innovations and usually jump on-board and test drive new solutions. By a show of hands or a +1, how many of you are using Google+ ? Add one to your count for me. Like a moth lured to a bug zapper, product professionals are often consumed with the latest and greatest gadgets. Why? I believe it’s a combination of our technology heritage, our desire to associate with innovation, our need to understand and validate markets, our willingness to test positioning and find new ways to sift through the daily noise to truly collaborate. Or perhaps we just want to hang out with the cool kids. Either way, how do we manage the onslaught and use this to our advantage? (Re)Learning and Adapting – Every time a new technology emerges, I evaluate how it will impact me personally and what benefits I see. While I don’t perform a personalSWOT, I do consider my current and future needs, habits, desired changes, interest, working environment and how it could influence and improve collaboration. While some of you might question technologies role as we adapt and change, the business world we live in continues to move from it’s industrialized heritage to one that is formed on collaboration, openness and information. These three elements can guide and influence better decisions, but only if we manage the distractions they present. Product management and product marketing have to transition with it or lose credibility and value because of it. Does my business style and personality lend to or take away from a collaborative culture? How do I currently collaborate? What styles and methods of collaboration does my organization use and does it complement or hinder mine? Do I value technology over conversation and collaboration? By honestly asking and contemplating these questions, we can relearn and adapt to manage day-to-day distractions and improve as product professionals through collaboration. Limit the amount of time spent on non-work collaboration. I schedule blocks of time. Be “out of the office” or “offline” when you really need to limit distractions. Forward my office phone to my mobile phone and silence the ringer of turn it off. Skip a meeting and see if anyone notices. If they don’t, unofficially un-invite yourself. Plan offline interruptions into your day, whether a walk at lunch or a face-to-face meeting. Within your workplace, colleagues should have the ability to “hole up” solo or together on a project, free from constant connection to the rest of the world. A tip from designer Aza Raskin: Try reserving separate screens, or even separate devices, for Facebook, Twitter, and other distractors. If they’re in separate rooms, even better. Get into the habit of tagging complex matters to be discussed later, in real time. Davidson sends her colleagues emails with the subject line “Agenda”; at their weekly conference call, she’ll search her email for the term and — presto! — a list of items to discuss pops up.